Étreux is a village in the Department of the Aisne, situated 32 kilometres north-east of St. Quentin and 11 kilometers north of Guise on the main road from Guise to Landrecies. The village is on the right of the D946. 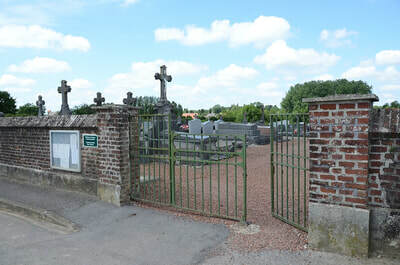 Take the Rue de Verdun out of the village, continue straight on at the crossroads on to the Rue du Cimetière and the cemetery can be seen on the left. On the 27th August 1914, Etreux was the scene of the Rearguard Affair of Etreux, in which the Royal Munster Fusiliers were overwhelmed, after a long resistance, by the German battalions. 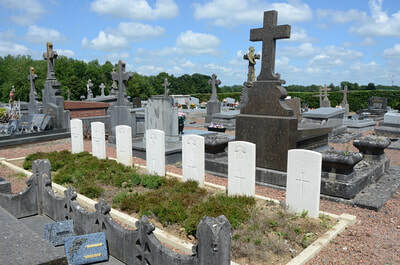 There are ten Commonwealth burials of the Great War, of which one is unidentified. 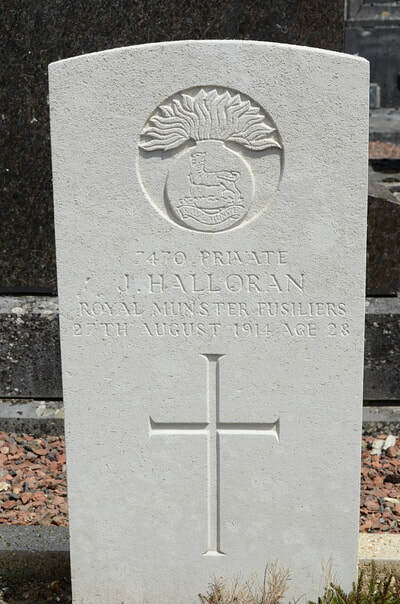 7470 Private John Halloran, 2nd Bn. Royal Munster Fusiliers. 27th August 1914, aged 28. Son of Denis and Mary Halloran (née Galvin); husband of Margaret O'Sullivan (formerly Halloran) of 1 Clarkes Bridge, Cork. 7572 Private W. Holland, 2nd Bn. Royal Munster Fusiliers. 1st September 1914. 7775 Private J. Howarth, 2nd Bn. 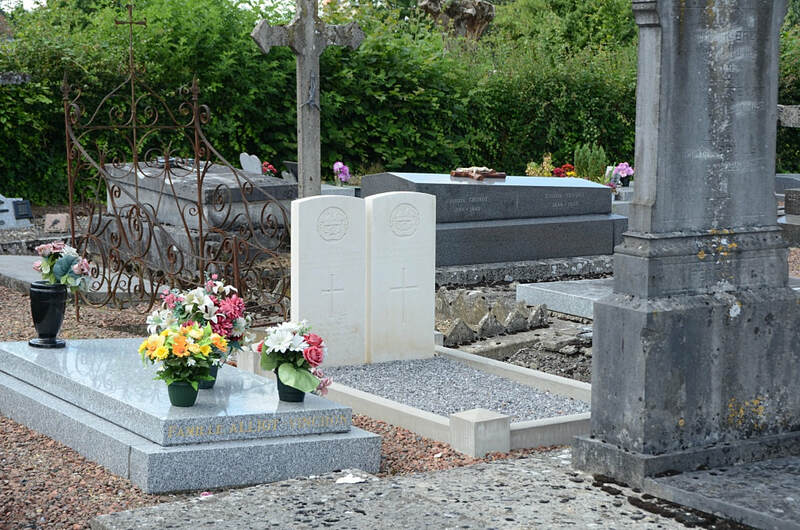 Royal Munster Fusiliers. 10th September 1914. 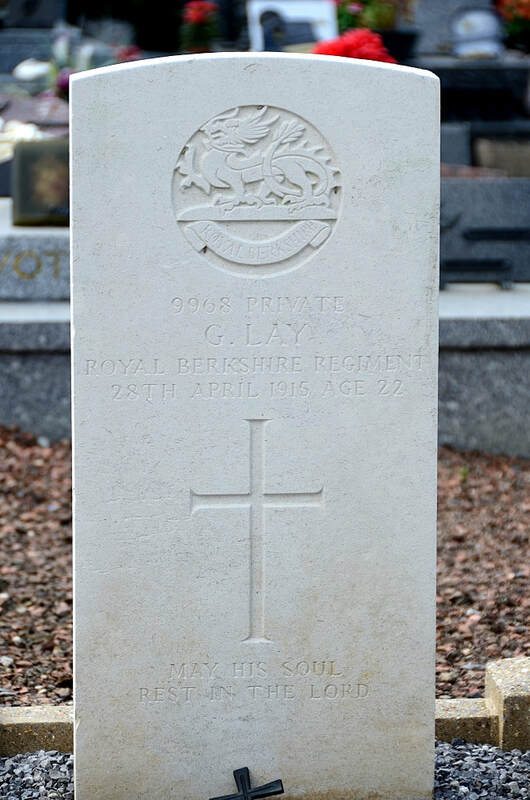 9968 Private G. Lay, 1st Bn. Royal Berkshire Regt. 28th April 1915, aged 22. 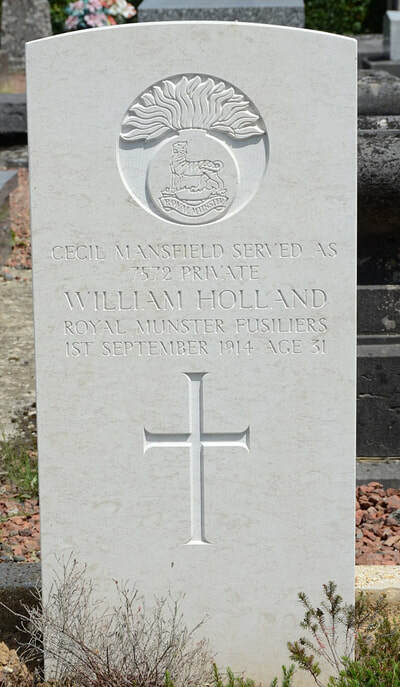 Son of Mrs. Annie Marshall, of 22 Bittorn Farm, Lockinge, Wantage. Native of Lower Common, Bucklebury, Reading. 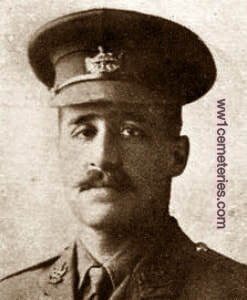 7572 Driver James Mortimer, 26th Brig. Royal Field Artillery. 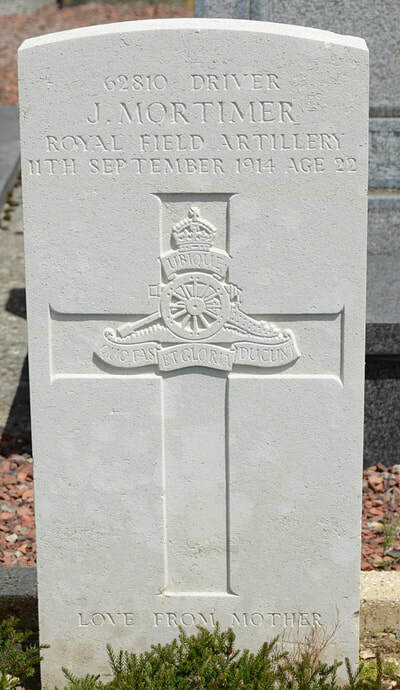 11th September 1914, aged 22. 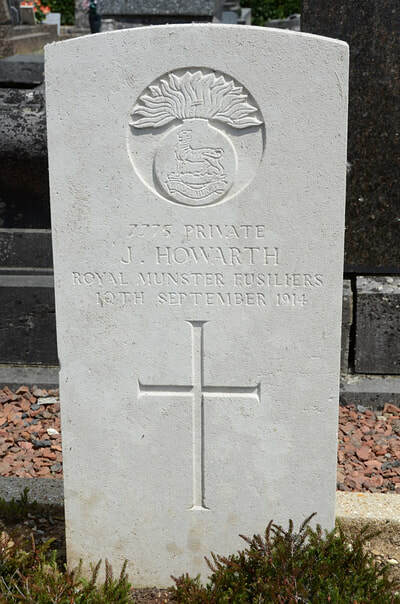 Only son of Albert and Mary Ann Mortimer of 4 Park Road, Morecambe, Lancs. 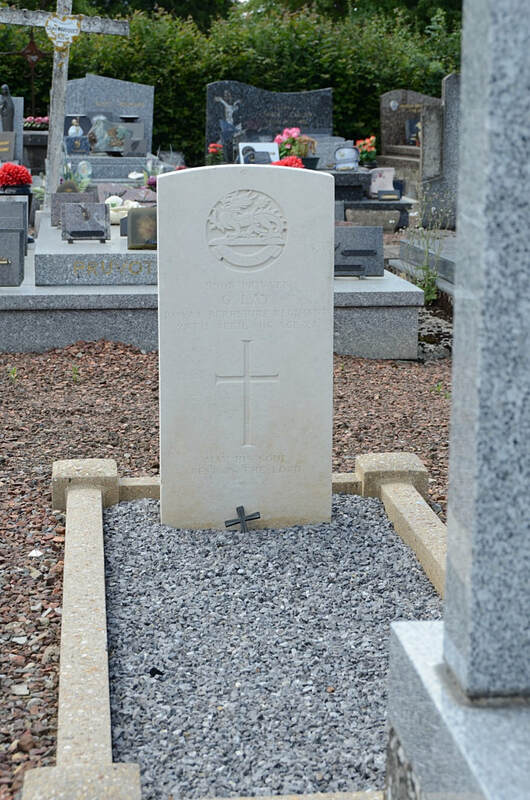 62810 Gunner F. A. V. Shewring, 118th Bty. 26th Brig. 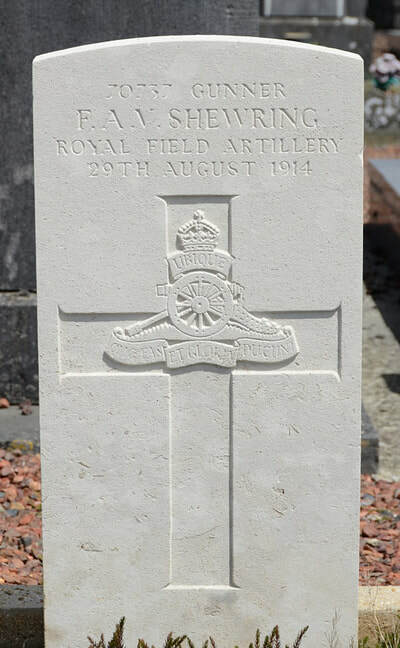 Royal Field Artillery. 29th August 1914. 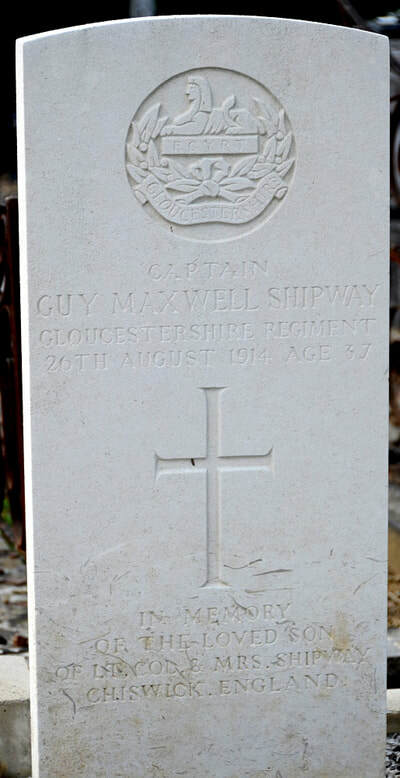 Captain Guy Maxwell Shipway, 1st Bn. Gloucestershire Regt. 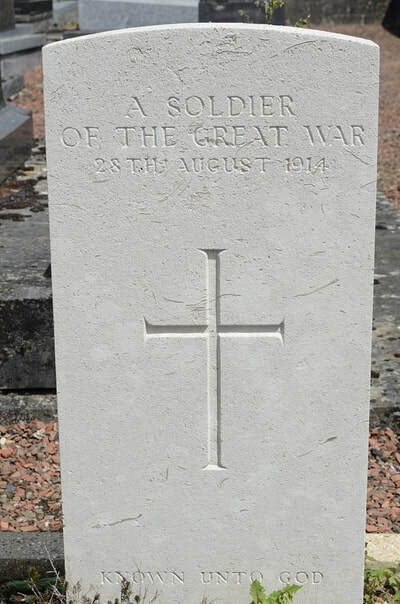 26th August 1914, aged 37. Son of Lt. Col. Robert William Shipway of Grove House, Chiswick, London; husband of Gladys Blanche Katherine Shipway (née Cooper). 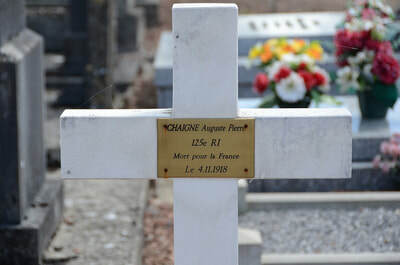 Served in the South African Campaign and in Nigeria (1905-6). 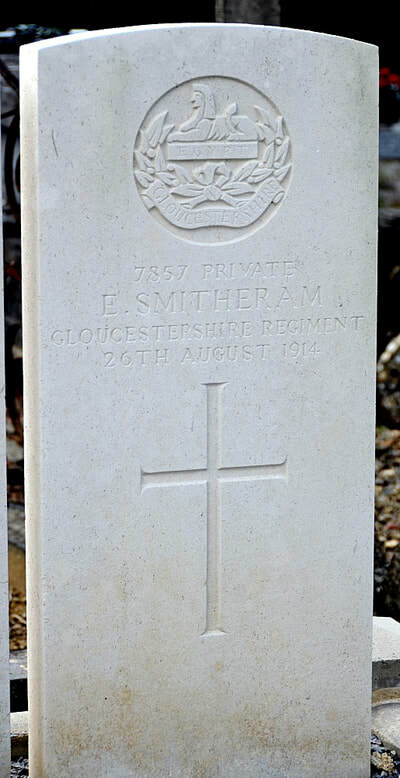 7857 Private Ernest Smitheram, 1st Bn. Gloucestershire Regt. 26th August 1914. 8138 Private J. Stanley, 2nd Bn. 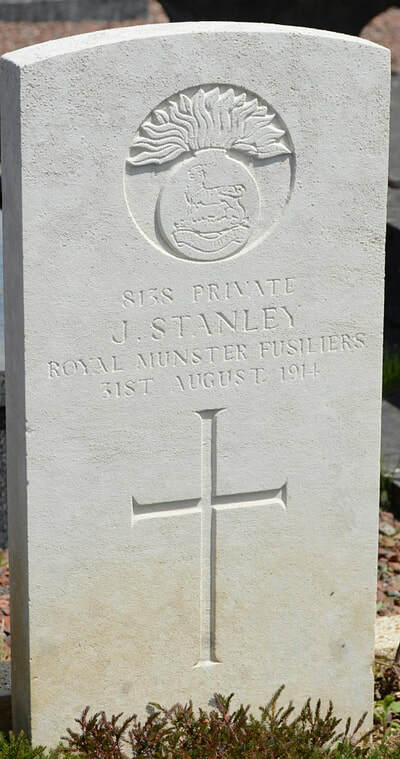 Royal Munster Fusiliers. 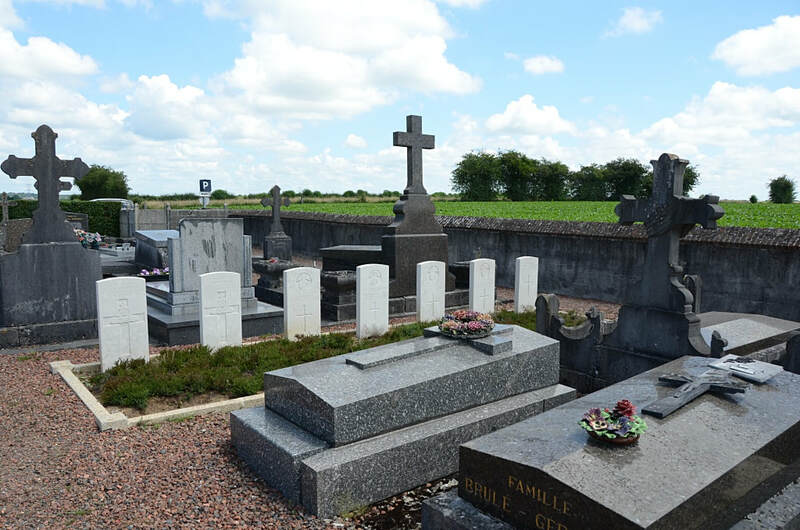 31st August 1914. 26th August 1914, aged 37. Son of Lt. Col. Robert William Shipway, of Grove House, Chiswick, London; husband of Gladys Blanche Katherine Shipway (nee Cooper). Served in the South African Campaign and in Nigeria (1905-6). His headstone bears the following inscription; "In Memory, the loved son of Lt. Col. & Mrs Shipway, Chiswick, England."